July has marked the long awaited release of new music for Rick Springfield fans. Rick is part of the musical trio Sahara Snow, along with keyboard/ percussionist Bob Marlette and former Fabulous Eels guitarist Tim Pierce. 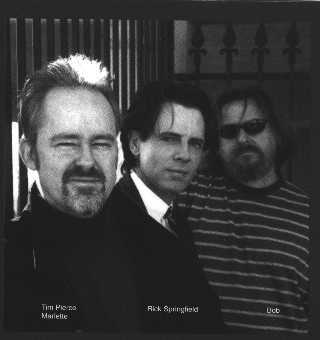 The songs were mostly cowritten by Marlette, Pierce and Rick, with two songs written solely by Rick. Other songwriting collaborators include Dubin, Spiro, Silverman and Watson. The twelve song CD mixes strong vocals supplied by Rick, exhilarating guitar riffs by Pierce and rythymic keybaords and percussion pounded out by Marlette. The songs very from a romantic ballad to raging rock tunes to raging dance music. If you don't already own the Sahara Snow CD you can order it through NEH Records (www.nehrecords.com) or call Thoughtscape sounds at 1-800-435-6185; you can also order it from their website: Sahara Snow. 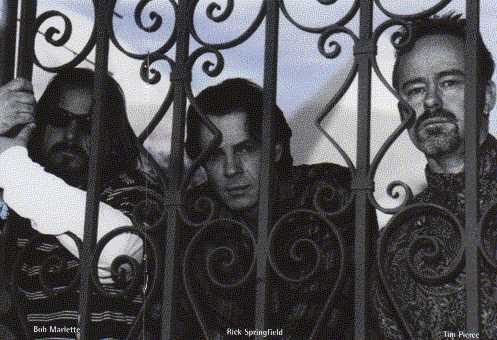 If you call yourself a Rick Springfield fan, you have to have it! So go get it! :) As you can see, you're gonna love it. 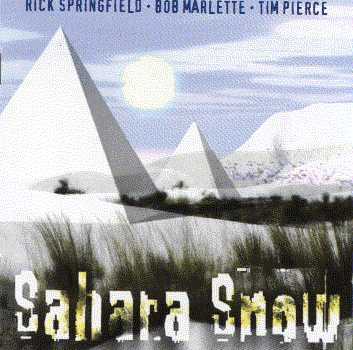 I received the Sahara Snow CD through NEH records, and to sum up my impression, I'll say: Different, Awesome, Wow. This music is totally not what I expected from Rick. Although I've always taken Rick's music seriously, many others have labelled his music as "bubble-gum and soda-pop." I have to say to those people that what you hear on Sahara Snow will blow your mind away. It is not the Rick of the 80s. It is a deeper, slightly darker, more introspective side of the musician. What you hear is maturity in style, voice and lyric. Although most of these songs were co-written with Bob Marlette and Tim Pierce, I believe that the messages coming through are truly Rick's. I don't know from what aspects of his actual life he has gathered these words, but whatever the case, they definitely work. My favorite picks are: Lust, Stranger, Somewhere, Modern World, New Lover and Miss Your Kiss. My least inspring ones are Scandolous Life and Psychoactive. Whether Rick uses the style of Sahara Snow for Karma or any future albums does not matter. The fact that he has demonstrated his ability to piece together meaningful adult lyrics, and to express them in a sincere way, while also integrating hard-rock and rythymn and blues just shows again what we have known for years: that Rick is an extremely talented, extremely versatile artist. Totally Awesome. Rick, you're "all-that!" "I just got done listening to Rick's new album, actually he is under a new group name called "Sahara Snow". It does sound very different than his last album." Alane H.